Our take: Detailed panoramic photographs of the cockpits of 34 historic World War II aircraft. Photos include close-up views of instruments, gauge clusters and flight controls. All the aircraft are part of the Smithsonian National Air and Space Museum's collection. Curators from the Smithsonian provide accompanying text for each of the aircraft. This added narrative helps make this one of the best World War II aircraft books we've ever seen. Our take: The title pretty much says it all. 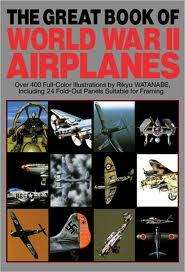 This is truly a great book of WWII airplanes. 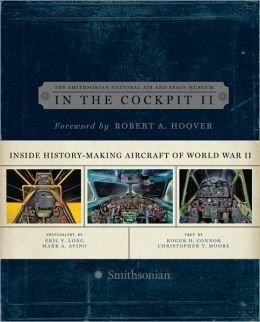 Over 400 color photos and illustrations of WWII aircraft are contained within the 632 pages of this tome. There are many detailed cutaways, foldouts and profiles too. The accompanying text helps bring each of the aircraft to life. This is the definitive book for WWII aircraft and would be enjoyed by anyone that appreciates aircraft at all. Unfortunately, everyone seems to know that so this book is difficult to find an can be expensive. 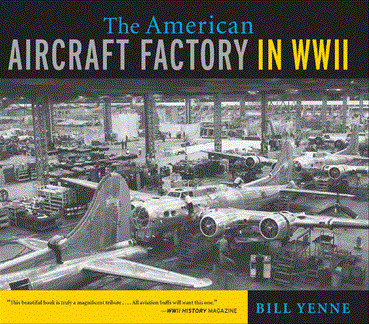 Our take: Focuses on the history of U.S. aircraft and the drastic transition to military aircraft production during World War II. Features 125 black and white photos and 50 color photos spanning 192 total pages. Tells the fascinating story of the role women played in building the aircraft that would ultimately help us win the war.